“Don’t panic” is your first priority when faced with a sudden mouth injury. Of course, that may be easier said than done when you or a family member has just experienced a chipped, fractured or even dislodged tooth. It helps, therefore, to have some idea beforehand on what to do and, especially, when to do it. 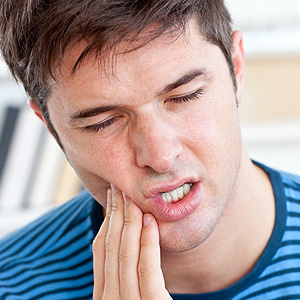 You should think in terms of immediate, urgent and less urgent injuries: a tooth completely knocked out of its socket requires immediate action — within 5 minutes of the injury; a tooth that’s moved out of its normal position but still in the socket is an urgent matter that needs professional attention within 6 hours; and a chipped tooth is less urgent, but still needs to be seen by a dentist within 12 hours. As you may have gathered, the most important thing you can do when a dental injury occurs is to contact our office as soon as possible. If for some reason you can’t, you should visit the nearest emergency center. There are also some actions you should take for a knocked-out permanent tooth because there’s a chance it can be replanted in the socket if you act within 5 minutes of the injury. First, rinse the tooth with cold, clean water (bottled or tap) if it’s dirty. Be sure to handle it gently, avoiding touching the root. Grasping the crown-end with your thumb and index finger, place the tooth into the empty socket and push it firmly into place. Apply light but firm pressure with your hand or a wad of wet tissue to make sure it doesn’t come out. Don’t worry about correct alignment — we can adjust that later during examination. If the tooth is chipped or broken, try to locate the broken pieces — it may be possible to re-bond them to the tooth. You should store them in a container with milk or the injured person’s saliva (the same can be done for a knocked out tooth if reinserting it isn’t practical). The broken pieces should then be transported with the injured person to emergency treatment. Taking these actions may not ultimately save a traumatized tooth, but they will certainly raise its chances for survival.